Burch Propane offers a variety of hearth heating options throughout Southern Maryland. These high-quality options include complete standalone gas fireplaces, inserts that fit into your current chimney, or even a simple log set. Propane-fueled fireplaces are easy to install and can create an ambiance similar to wood-burning fireplaces but with more options and greater convenience. Our knowledgeable staff will work with you to develop an estimate that meets your unique requirements. 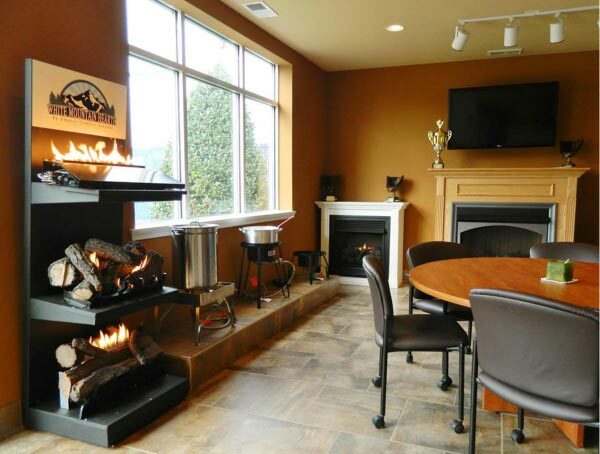 Modern propane fireplace heating solutions require no chimney and are either vent-free or vented to the exterior of your home by a variety of means. Our certified experts will discuss the right venting solution for your home with you. Not only do we carry interior fireplaces and stoves, but exterior ones as well. They are convenient and low-maintenance for the whole family to enjoy.